The DUO line of Instant Pot pressure cookers includes one special button that many home users are enamored with—the yogurt button. While it’s fairly simple to make yogurt without a special appliance, the Instant Pot makes the process even easier, since it automatically keeps the yogurt culture at the proper temperature for incubation without any user intervention. This cooker has programs for soup and broth, meat and stew, beans and chili, poultry, sauté, steam, rice, porridge, multigrain, slow cook, keep warm, and yogurt. If you don’t want to use a program, you can choose two levels of pressure, three sauté temperatures, or three slow cook temperature. 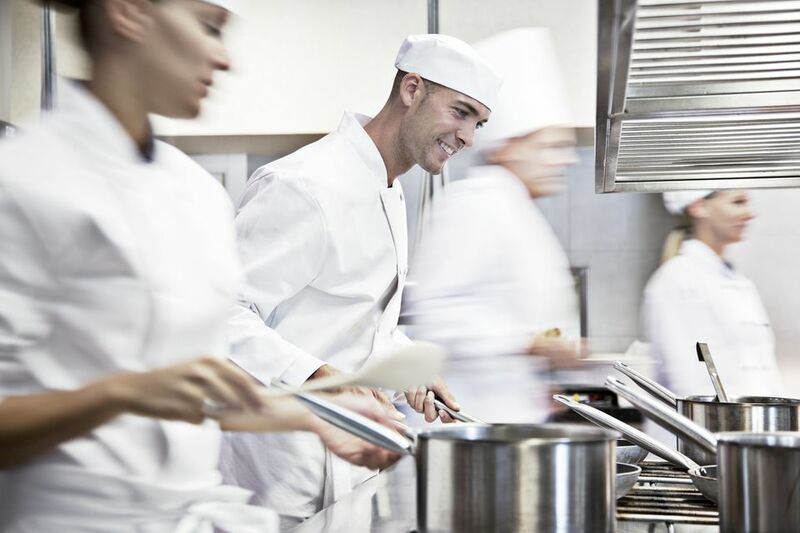 Cooking can be delayed for up to 24 hours, while manual cooking can be set for up to 2 hours. This comes with a stainless steel steam rack, a rice paddle, and a soup spoon. The Instant Pot LUX models are the most affordable of the product families, yet they’re loaded with features. Overall, the 6-quart models are the most popular, since they’re they're the perfect size to cook dinner for an average family. The LUX V3 includes a cake program and an egg program that were not on earlier models, as well as programs for soup and broth, meat and stew, sautéing, cooking rice, multigrain cooking, making porridge, and steaming. You can pressure cook up to four hours and slow cook with your own settings, and you can keep food warm for up to 10 hours. This has a 24-hour delayed start for food that can be safely kept at room temperature for that time. This comes with a stainless steel steaming rack, a rice paddle, a soup spoon, and a measuring cup. Many people who buy an Instant Pot will buy a second one shortly after the first, once they realize how handy it is for quickly preparing meals. This bundle includes both the 6-quart DUO Plus and the 3-quart DUO Plus, so you can make the main dish in the large pressure cooker, and a side dish in the smaller cooker. Both cookers have the same blue LCD screen and the same programs: cake, egg, and sterilize, along with the original soup and broth, meat and stew, bean and chili, slow cook, sauté, rice, multigrain, porridge, steam, yogurt, and pressure cook. The only difference between the two is the cooking capacity and the size of the appliance. While you can certainly buy these cookers separately, the bundle saves money over the individual purchases. While most folks start with a larger pressure cooker, the mini version is often the second purchase, since it’s ideal for cooking side dishes while the main course is in the larger pot. Small, of course, is a relative term, since it can cook up to 6 cups of rice (12 cups cooked) using the included measuring cup. This small cooker is also great for singles or couples who prefer small quantities and fewer leftovers. It’s also fun for entertaining to make hot dips and sauces and keep them warm in the pot for serving. This has built-in programs for soup and broth, meat and steaming, cooking eggs, sautéing at three different temperatures, making rice, making porridge, and keeping warm. There are also buttons for pressure cooking and slow cooking with manual settings, as well as a keep-warm feature. You can pressure cook for up to 4 hours, and there is a 24-hour start delay so you can plan ahead and cook later for foods that can be kept at room temperature for that length of time. This includes a stainless steel steaming rack, a rice paddle, a soup spoon, and a measuring cup. If your Instant Pot gets a lot of use during the week you might want to opt for a model that looks good out on the counter. The Pioneer Woman just debuted a new line of Instant Pots with Walmart that have a pretty floral design. This design comes in a 6-quart model so plenty of space to whip up stews and more and is still a 6-in-1 multi-cooker. It comes in two different designs—a more turquoise vintage floral pattern or this breezy cobalt style. Whatever you choose this Instant Pot is a must for any fans of Ree or Instant Pot in general. The largest of the LUX line, this 8-quart cooker is great for large families. The large size also makes it easier to cook large roasts without cutting them to fit, and it’s great for the neighborhood chili cookoff, for making spaghetti sauce for the freezer, or for making stock from the cut-up turkey carcass. Aside from the size, this is very similar to the 6-quart LUX, so if you already have that model, it will be simple to operate this one without learning new functions. It has built-in programs for soup and broth, meat and steaming, cooking eggs, sautéing at three different temperatures, making rice, making porridge, and keeping warm. There are also buttons for pressure cooking and slow cooking with manual settings, as well as a keep-warm feature. You can pressure cook for up to 4 hours, and there is a 24-hour start delay so you can plan ahead and cook later for foods that can be kept at room temperature for that length of time. This includes a stainless steel steaming rack, a rice paddle, a soup spoon, and a measuring cup. A new version of the original DUO, this has an updated look with a blue LCD screen, a more intuitive interface, and four status icons that show when cooking is in progress when pressure is selected, and whether keep-warm and sounds are on or off. This Instant Pot works as a sous vide cooker by keeping the water at a specific temperature throughout the cooking time. The larger size gives more space for the food inside its sous vide bags, with enough water to keep the temperature steady. Another unique feature on this model is the ability to set your altitude. Recipes are usually written for people who live near sea level, so altitude-dwellers need to do some math and adjust the cooking time every time they cook. This Instant Pot makes adjustments unnecessary, since you simply set the altitude, and the cooker makes adjustments automatically. This cooker has a dial and a digital display, so you select the program and press to select pressure cooking, soups and broth, meat and stew, beans and chili, steam, slow cook, saute, warm, rice, porridge, multigrain, cake, egg, sterilize, and yogurt. The Ultra button lets you customize your cooking. The pressure settings and temperature are easy to see at a glance, along with whether the cooking delay, keep warm, or sound alerts are on or off. A new quick-release button for venting lets you manually pulse or continuously release steam, and it resets to sealing if the lid is opened and closed. The accessories included with this model are a steam rack, serving spoon, soup spoon, and measuring cup. We bought two top-rated Instant Pots and our reviewers tested them for 36 hours. We asked our testers to consider the most important factors when using these Instant Pots, from their size to their special features (like cooking modes). We’ve outlined the key points here so that you, too, know what to look for when shopping. 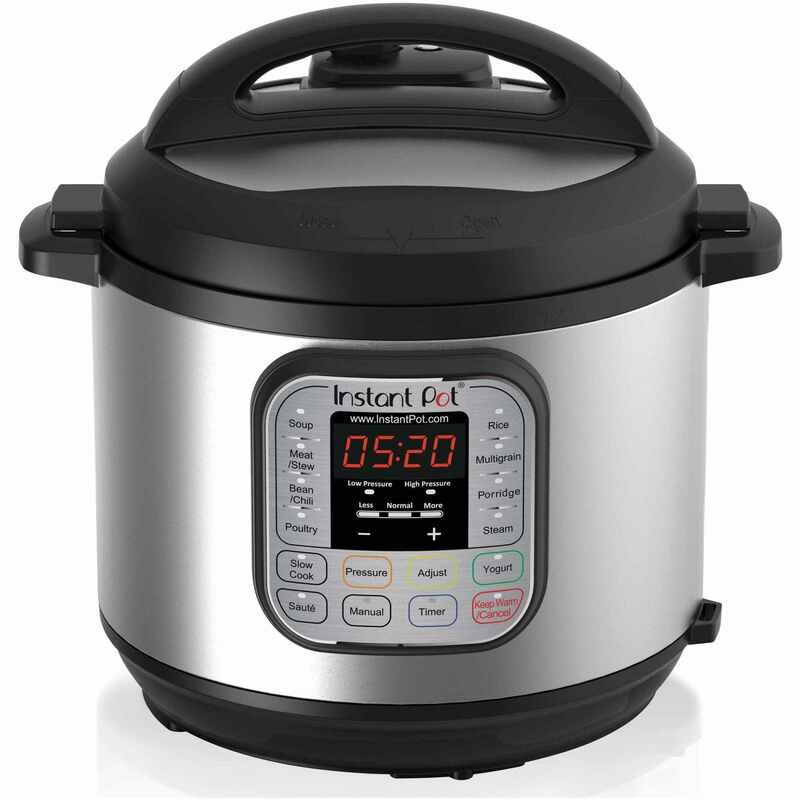 Size The size of your ideal Instant Pot will depend not just on how much counter and storage space you have, but also how much you want to cook at once. Some miniature versions will serve up to three quarts, while larger ones will hold up to eight. Versatility While some Instant Pots just offer basic functionality, others have modes for making specific foods (such as yogurt, cakes, or eggs) or various cooking options, such as steaming. Also, look for features like delayed cooking. Cost Instant Pots can come at a number of price points. How much you should spend will depend on how much you think you’ll use yours, how much you cook, and how fancy you want to get. If you’re just dipping your toes into the world of Instant Pots and only cook rarely, you may want to start with a basic, more affordable model. If you know you’ll use yours on a regular basis, you might want to invest more to get the features you want. “Having a two-in-one machine — a pressure cooker and a slow cooker — is definitely the biggest benefit of this Instant Pot,” said one of our testers. The speed of the pressure cooker, in particular, was also a highlight: “Speeding up cook time for really time-intensive food items is very nice,” one tester said. In terms of negatives, one reviewer felt that “there are too many buttons and there’s a somewhat steep learning curve for what does what on the device.” One of our reviewers also said that it was too big to fit into any of his cabinets so he ended up storing it on top of his fridge.